Of course I finally got back to blogging at a time of year when most of my knits aren’t bloggable. Of course. But this project isn’t secret, hooray! 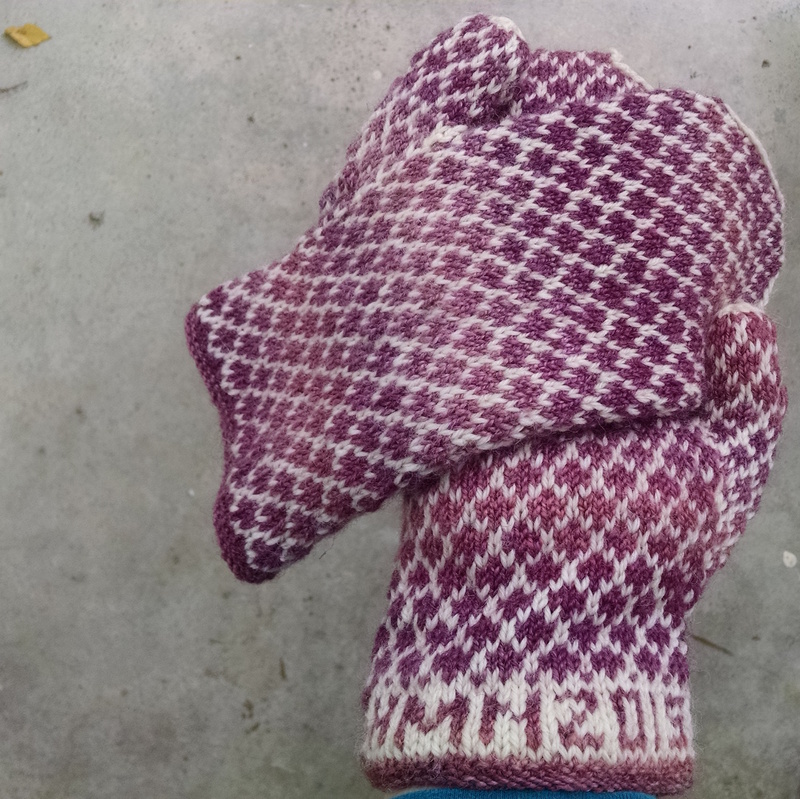 I finished these mittens, for me, in February. Yarn: the pink is handspun BFL/silk; the cream is Fisherman’s Wool, and the lining is reclaimed cashmere. They sat, unblocked, for many months. Mainly because I didn’t want to go to the hassle of making forms to block them on. 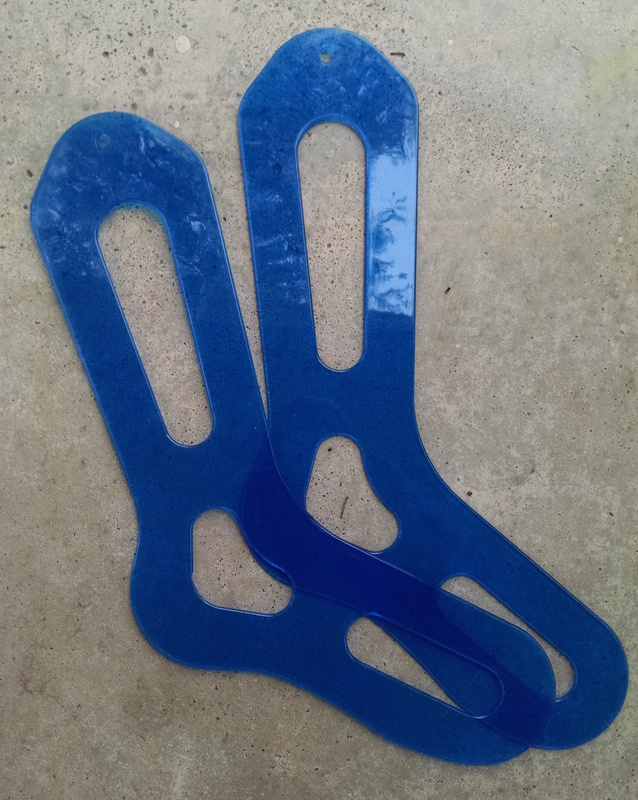 But I recently saw them again, right next to the sock blockers I acquired this year, and a lightbulb turned on. The tops of the sock blockers are just the right shape for these. The thumbs went without a form, but I think it’s OK. I’ll be able to wear them, instead of them sitting and waiting for who knows how much longer! I maybe should have made them just a tad shorter. I charted and added my initials and the year on the inside of the right wrist, for posterity. I love the idea of signing my knitting. 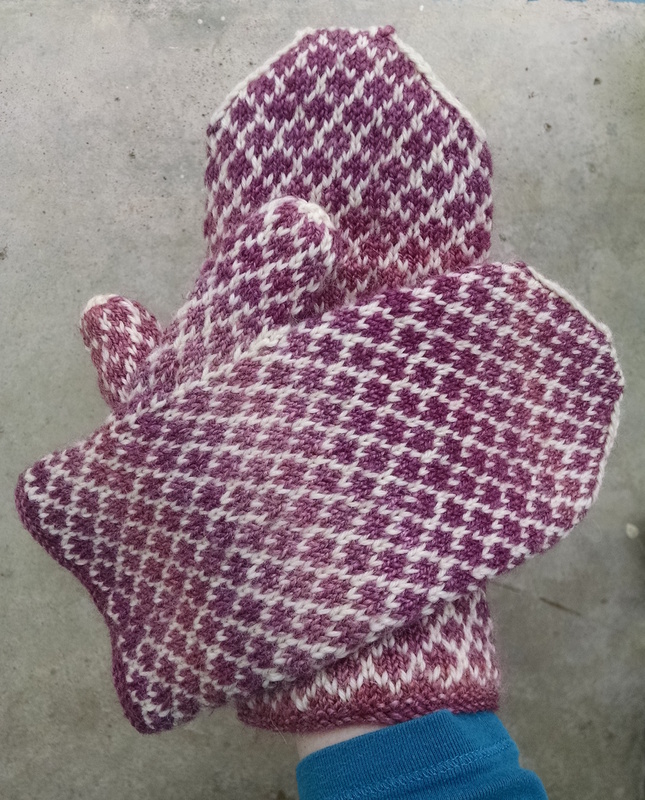 I don’t even know if I’ll like wearing mittens (I’m a glove person I think), but this will give me the option. And they’re very warm. And soft. 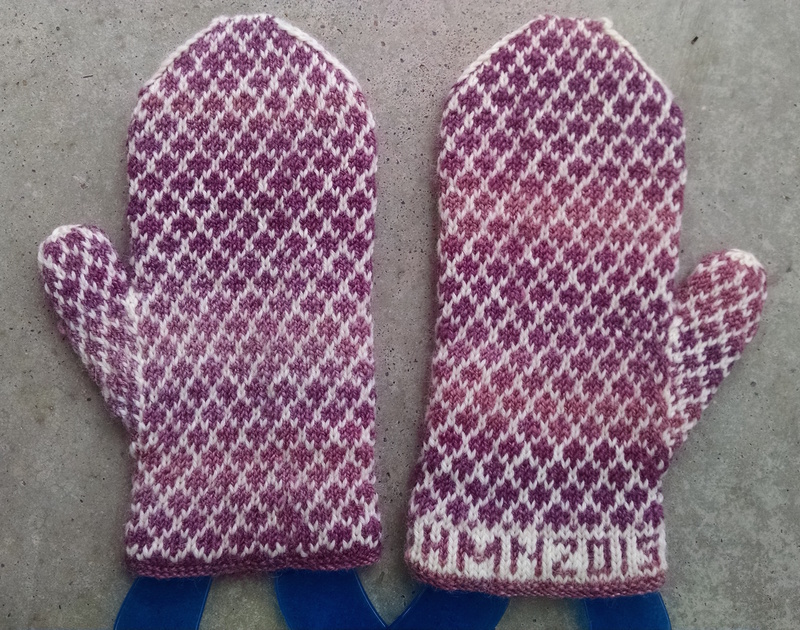 Do you wear mittens? What have you made lately? This entry was posted in knitting and tagged fiber arts, finished object friday, fo friday, handspun. Bookmark the permalink. They’re gorgeous and I love that you worked your initials into them! Oh my! The luxury… BFL, Silk, Cashmere. swoon. I’ve been giving a lot of thought to how to sign my weaving, but I love that you signed your knitting. Great idea. Thanks, Kathryn! I haven’t really figured out how to sign non-colorwork knitting yet, but spinning would be awesome, too! 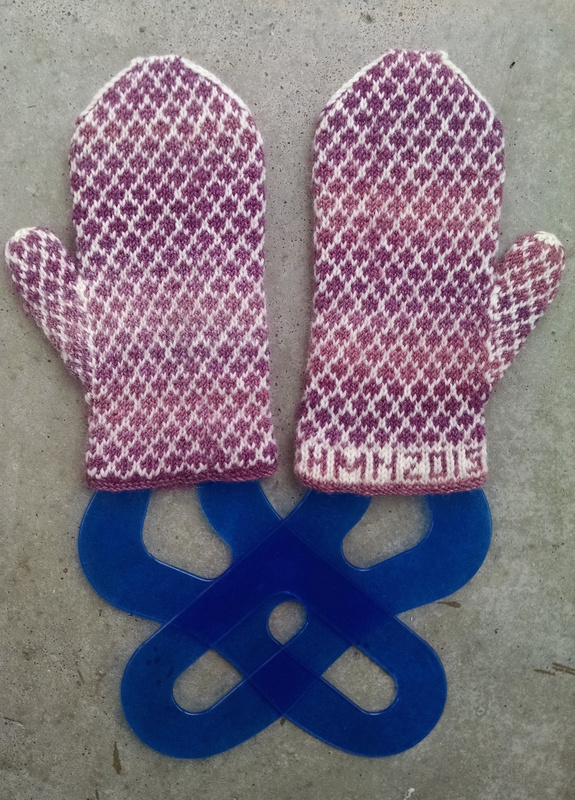 Still need to learn how to knit – love the idea of being able to make your own mittens, hats, and scarves! Oh! Pretty! I am just learning how to crochet. I saw that! Crochet is fun, I’m excited for you.